Bankruptcy – a word that never fails to give anyone the chills. Declaring bankruptcy yourself can be one of the hardest things anyone will have to go through, but this can also be just as difficult if the company that you’ve invested money in is going bust. If a company does declare bankruptcy, what happens to your stock? What Happens If a Company Goes Bankrupt? First of all, before you can begin to understand what will happen to your shares, it’s best to know what will happen to the company. A company that has gone bankrupt may choose to use the Bankruptcy Code, specifically Chapter 11, to reorganize the business and try to make a profit again. It can also choose to use Chapter 7, where the company shuts down operations altogether and just simply go out of business. 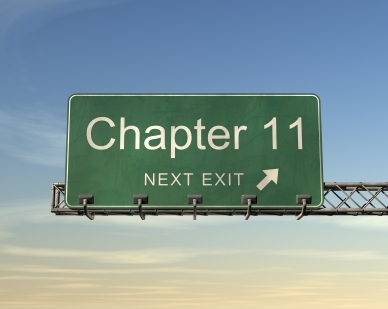 Chapter 11 is when the bankrupt company goes into reorganization under the supervision of a court or any other appropriate regulator. The proceedings of Chapter 11 will require a reorganization plan wherein the company can work out its structure so as to be able to pay off its debts and therefore stay in business. To ensure enforcement, the plan is subject to the court or the regulator. Depending on the plan, the original owners or managers can continue to run the company. But in some cases, the company’s creditors can become the new owners. What Happens to My Stocks? This is probably the million-dollar question when a company goes bankrupt and uses Chapter 11. The typical order of reimbursement is this: those who took on the smallest amount of risk will be the first to get paid. In any situation of bankruptcy, the secured creditors who decided to invest with the least possible risk by having their credit backed by a collateral will be the ones to be paid first. Their securities could come in the form of a mortgage or such other securities owned by the company. Creditors are always paid first in the event of a bankruptcy. Bondholders come next because a company’s debt is expressed in the form of bonds. The company has made a promise to their bondholders that they will pay them a set interest rate, aside from returning the principal at the maturity date. And finally, stockholders, who have agreed to take on the most amount of risk, will be repaid last if there is still any money left. Should the company choose to use Chapter 11, the company’s securities can continue to trade. However, in most instances, companies that declare bankruptcy are unable to meet with the requirements of the NASDAQ or the New York Stock Exchange. But they may still be able to trade in platforms such as the Pink Sheets or the OTCBB. Whatever the case, federal law does not have any provisions that forbid the trade of shares of bankrupt companies. When a bankruptcy occurs, both bondholders and shareholders will experience some changes with the way they used to earn with their investments before. For example, fixed interest payments for bonds will no longer be given, while stockholders can expect a halt in dividends. For the bondholders, their bonds may be replaced with either new bonds, new stock, or a mix of both. Stockholders may also be requested to give back the shares that they own which will then be replaced with the shares of the newly reorganized company. Shareholders can expect that the worth of their new shares will no longer be as much as before. Usually shareholders find out about the bankruptcy in the news. If you employed a broker, your stockbroker should be the one to inform you about what’s going on with the company. If the stock is assigned to your name, then the company should inform you directly. It is possible that the company will ask for your vote during reorganization. But bear in mind that it is highly possible that you will be getting an amount lesser than what you initially invested. Before participating in a voting, be sure to ask your company about details of the reorganization plan so you can be sure you are making an informed decision. When a company declares bankruptcy, be thankful when they opt for a Chapter 11 bankruptcy because this can still signal a hope for recovery. At the very least, you can get a small amount of your money back in shares. Should the company file for Chapter 7, then this means that your stocks or bonds are basically worthless and you have lost all the money you invested. Bankruptcy can occur, which is why it is absolutely vital to do due diligence when investing in any company, no matter how popular it can appear to be. So, have you ever been in this situation? What was the result? I want to know. This post was written by YFS. One more reason why bonds are preferred when you are retired and income and capital preservation becomes important. Great information; thanks for sharing this! Stocks entering chapter 11 can also be a very profitable. Depending on their debt structure and the current stock price a handsome profit can be made by investing in companies going through chapter 11. Can you share some strategies and success stories? This articles also support diversification. It’s sad how many people have lost wealth putting too many eggs in the same basket. Yes. Diversify diversify diversify. You never can predict what will happen to any given company. Sometimes bankruptcy is unavoidable, but we can usually see it coming. Why did you hold onto the stock for so long? I didn’t get it for about 5 more minutes. LOL.. I see what he did there. Funny guy. Alas, my luck with companies going bankrupt is poor. I’ve never had one to bounce back and make money. WaMu, Countrywide, and many other holdings have disappeared, never to be seen again. Investing in bankruptcies is about like putting your hard earned money on red or black at the casino. Hmm good point. I doubt many average joes should invest in bankrupt companies but if you have some serious coin to gamble with it might not be a bad thing to try. Hi there, if the company will file bankruptcy it does not mean that the company will going to bankrupt. It just there thinking of their future.